This is the weekend for all Xbox players to jump into online multiplayer, regardless of their Xbox Live status. And that also means free PUBG and free PES 2019. Playing is always better with friends. But playing with friends on consoles often costs money. It even costs money on Nintendo consoles now. But for one weekend, Microsoft's hearts is growing three sizes and opening the doors to online multiplayer for everyone for free. On top of that, PUBG and PES 2019 are going for free for this weekend only. Meanwhile, PlayStation is offering up a sale on a handful of games and offering double discounts to any PlayStation Plus members. So for those looking to pick up Dissidia Final Fantasy NT or the Assassin's Creed Ezio Collection, this is a great time to do so. There are more Xbox One games on sale in this week's Deals with Gold. 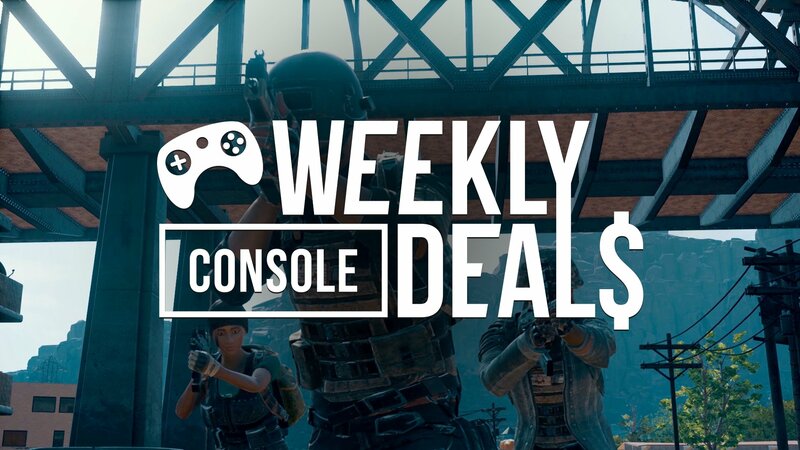 The following deals are available to all Xbox One users. Xbox Live Gold members may be eligible for additional discounts. Multiplayer is free to ALL Xbox Live members this weekend and this weekend only. To help celebrate this, PlayerUnknown's Battlegrounds and Pro Evolution Soccer 2019 are both free for this weekend only. For more details, check out the Free Play Days For All weekend. Find more shooters and brawlers in the Xbox One Beat 'em Up, Shoot 'em Up Sale. The following deals are available to all users. PlayStation Plus members may be eligible for additional discounts. Find the full list of games featured in the PlayStation 4 Double Discounts Sale. As the name implies, ALL DISCOUNTS ARE DOUBLED FOR PLAYSTATION PLUS MEMBERS. There are more Xbox 360 games on sale in this week's Deals with Gold. The following deals are available to all Xbox 360 users. Xbox Live Gold users may be eligible for additional discounts. Find the full list of games featured in the PlayStation Vita Double Discounts Sale. As the name implies, ALL DISCOUNTS ARE DOUBLED FOR PLAYSTATION PLUS MEMBERS.